Whether you want to improve the performance or styling of your car, you can always count on our comprehensive range of care, repair and maintenance services. Your convenience, comfort and safety is our top priority; hence, you will never go wrong in entrusting your prized possession to our team of friendly and qualified mechanics. Is there anything we can help you with? Come and visit our garage today! We understand the struggles and headaches involved in finding a service center that makes you a priority, has the expertise you require, lives up to its promise, and yet offers competitive prices. Here at our workshop, your satisfaction is our mission. 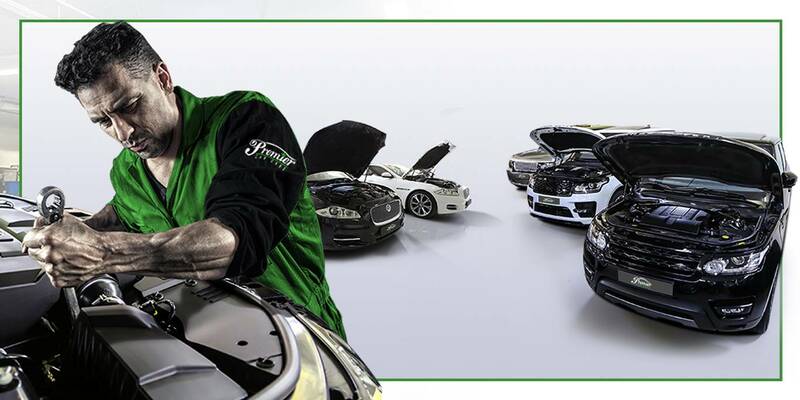 As one of the leading British and German car service centers in Dubai, we pride ourselves for specializing in all types of repairs and maintenance for luxury cars no matter how complicated they may seem. Our team of experienced and reliable mechanics provide an honest appraisal of any required car maintenance in Dubai. Hence, you will have peace of mind knowing that your prized possession is in good hands. Quick, accurate and budget-friendly service estimates. We adhere to the highest service quality standards to ensure your satisfaction. Your time is precious so we ensure that every work is carried out quickly but surely. I recently got my car taken care of by your team and I must say I had an absolute wonderful experience.Particular mention to Sudin who went over and above in delivering great quality and innovative work. Very helpful team!Values their customers’ time and delivers as promised. Hi...I had a wonderful experience with you yesterday; changing my Jaguar XF Brakepads. This is the first time i am dealing with you, I experienced your professional approach towards the customer in all the way.Special thanks to Mr. Sudin for his involvement and commitment towards me.Thank you so much.. Thank you for servicing my car. The brakes look and feel right. The car runs great and after the polishing service the car looks amazing. I am really pleased with the quality of work and speed of service. I have rarely gotten my car back in a day. I will definitely use you for all my Jaguar needs and even use you for my other car maintenance. Very quick and easy to get my car fixed. Friendly staff and a great car wash at the end! Always good and friendly service. Best experience in Dubai so far! Excellent work. Best quality control. Fully satisfied with the support of Sudin and front office team. This is my first time visiting Premier Car Care and I am overwhelmed by the response and attention taken by Sudhi. He has taken extreme care and provided with only necessary changes. The receptionists are very helpful in each and every phase. After service I am very happy to see my car as it came back like new one. Always a good service looking after my pride and joy. Very good service. Professional workmanship and good prices! Very good service. I'll bring back my jaguar for the next service. Great service and very please with the professionalism of the entire team. GREAT JOB. I am glad to meet all staff as they are friendly and they offer a good deal. Good service and repair as always. Happy customer. Customer service was great and delivered quickly as agreed while requesting the service. Thanks! Fantastic service as usual. Thank you! Having spent many years in Dubai and taken my cars to many garages, this would be the only one i would trust to maintain my vehicle. The moment you walk in you are greeted by a very friendly team, Miriam and Marion are very professional and efficient and are a true asset to the company. The manager Waseem is excellent at his job, hes incredibly knowledgeable and will give you different options for fixing your car, ones that are not just the most expensive! (which most other garages quote for).The mechanics and technicians are all ex main dealer so you can be sure they know what they are looking at! (Ask to see Jimson the Head Mechanic, he's the stocky one!. Hes great at assessing and will give you a good idea of costs) The turnaround time is very fast considering how many cars they are looking at.They are not cheap but nowhere near as pricey as main dealers. Very good service ,on time. Fast and good service, and the price is reasonable. I went to premier to do my car service. The guys there are really helpful and the prices that they are giving is very good. I recommend premier car care to all my friends. Many thanks. Thanks a lot for your best customer service and your daily updates. Service with a smile and no hidden costs or concerns. . Thanks. Very good service and on time delivery. I was very happy with the customer service staff. Very accommodating staff and we'll informed ...knows what they are doing. You are very kind and professional. 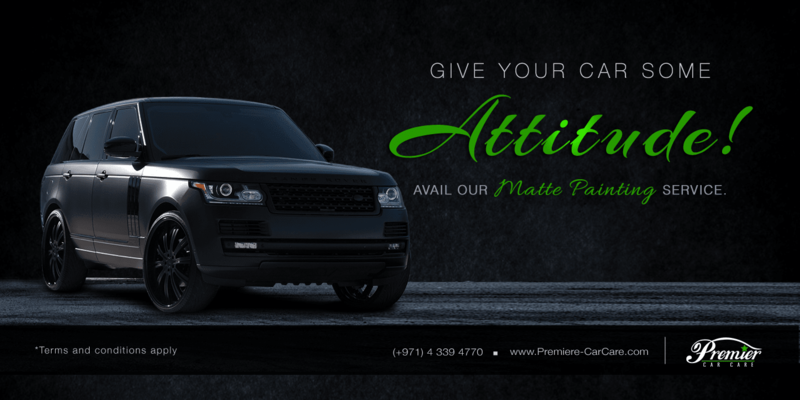 All staff are accommodating and car service is excellent. Always friendly, efficient and reasonably priced. I took my old X5 here and there has never been a problem. If you are thinking about using them, go ahead, you won't be disappointed. Quick and competent staff. The diagnosis was fast and the problem was fixed for a reasonable amount. Great job! SUPER FAST SERVICE AND REASONABLE PRICE! THANK YOU! So far, very happy with the level of service. Just need to make sure aircon works OK. Car delivered lovely and clean. Second time I used your services. Very happy again! Great job and customer focused! Couldn't be happier with the service or quality of work. Came to Premier for custom artwork. Received an excellent and super fast job. Service and repair have both been completed in a professional and timely manner. Happy to recommend to others. Very polite and helpful staff at desk. Very efficient and reasonably priced. Thank you for the great service I received for my Audi. All aspects of the experience exceeded expectations and customer service was particularly good. I just went to see my car today completed with a list of various works done and I was super impressed. You have a wonderful manager Gavin working there who really understands what the customer requires. His attention to detail and follow up is brilliant. Your staff along with Waleed is great as well. I am very happy with their quality of work and professional work output. This is the second car I am getting done at Premier Car Care. I will continue to recommend as many people about your great company and phenomenal staff. Extremely helpful. Thank you so much for all the help you provided. Really appreciated. Now I am looking to buy a car directly from you because of the excellent customer service the online agent has provided. Brilliant! Great work and reasonable rate. Just wanted to say thank you for persevering with my starting problem. I appreciate the service you offer – it's great to feel looked after by a service centre – I had become un-used to that! Dealing with Gavin & Premier Car Care team was a great experience. At Premier Car Care, I got a clear impression that no one was trying to rip me off. The explanations were clear, there was no surprise and most importantly, they didn't try to sell me twice as many repairs as my car needed. All of that with an excellent customer service, the right advice and even if they were obviously busy, they took the time to hear me when I was explaining my car concern. Highly recommend! Very good service! Miriam & Maha were very hospitable and excelled in their follow-up, etc. Very good. In my opinion they are asset to Premier Car Care. Good job. Did interior detailing as well. Always happy with the service. Having purchased my Boxster S from it's previous owner 1 year ago, I was suggested to keep using Premier Car Care, which I have done. In the beginning and for it's first service in my care, I was a little uncertain but the Customer Service level shown by Walid in the workshop brought me back for various things I wanted carried out and helped build my trust of them.More recently and for a second service in my care, I was looked after by Abu and Gavin and Walid again and they listened and looked after my requirements perfectly.I can honestly say the Customer Service is great and I trust them with my car and can recommend them to anyone!! Their level of car detailing is also second to none! !Thank you Premier! Excellent and efficient no nonsense service which is competitively priced. Very good customer service from the team headed up by Gavin. This was my first experience with the garage and I will be recommending and using them again. In general, the service is excellent and the service advisor is gentle and very nice. I am happy with the workshop experience so I will definitely come back and recommend you to my friends. I am happy to have dealt with Premier Car Care because my car was repaired effectively. I will come back next time for another brake service! I am satisfied with the service I got from Premier Car Care. My car got fixed effectively and the service advisor was very friendly and helpful. I had an excellent experience with Premier Car Care. I liked how they did the service on my car and the service advisor was also very cooperative and helpful. I don't have any complaints as Premier Car Care lived up to its promise. I had a nice time at the workshop and the necessary fix was done on my car. Thanks so much Premier Car Care! Vincent is really impressive and my car was very clean. I had a wonderful workshop experience with you guys and because of that, I will stick with you. I am satisfied with the service. My workshop experience is very nice, the service advisor is excellent and everyone is hospitable. I am satisfied with the service as there's no problem with my car anymore. As usual, the service advisor is good and I had a great workshop experience. I am a repeat customer. My workshop experience is fine and the service advisor is good. 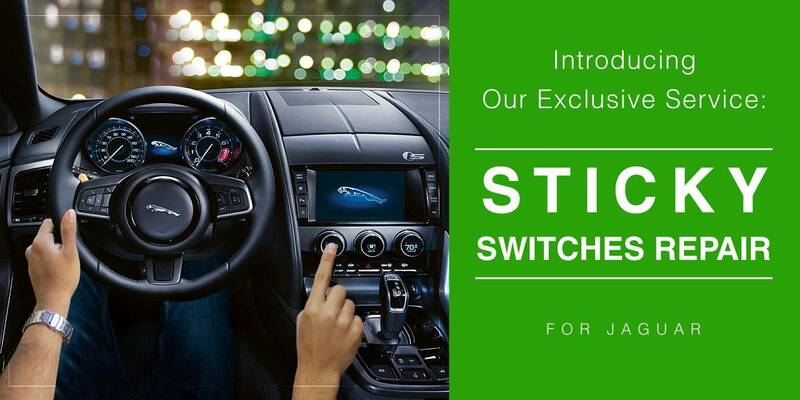 The showroom is very nice, and the service advisors were all good starting from Mr. Walid. I would like to thank Premier Car Care and all the staff for their premium care ! Mr Vincen and his team made sure that our car was checked properly and promptly, and made the service up to our full satisfaction. The car was returned on the exact time as promised. The workshop is very clean and well organized and Premium Car Care made their best efforts to make us feel comfortable and satisfied. Well done. I am a long-time customer, and as usual, the service is good and there's no problem with my car. I am satisfied and happy with the service. It was a really good experience as they kept on calling me to check the status of my car. Well, it works extremely fine now. The workshop is always very busy and is at full throttle. The mechanics are also very good on the job. I visited 3 garages including Al Tayer, but as always, Premier Car Care offers the best price and the highest quality of service.Thank you. We are happy with your service,so we will use it again. I am satisfied with the service coz it was perfectly done. The showroom was great and my car is okay, your Service Advisor is very nice, fast and cooperative. I am very happy and satisfied with service that Premier Car Care team provided. All good. All in all, service and workshop experience was good and I am very happy about the job done to my car. Everything is fine, my car was handed over to me back so clean. There's no problem from the service. All Good. Everything's fine even the car, I will definitely keep coming back as the service was okay. Service was good, experience in Showroom was fine, condition of the car is good and technician assisted me was okay. I am happy with the service assisted by Mr. Walid. I have taken both of my cars to Premier Car Care for service and repairs. They are not new cars so wear and tear was inevitable. The new management and in particular the manager Mr Raymond demonstrated a truly realistic approach to the needs of not so new cars and quotes by others were almost halved. We really had and enjoyed a truly customer needs-focused treatment. 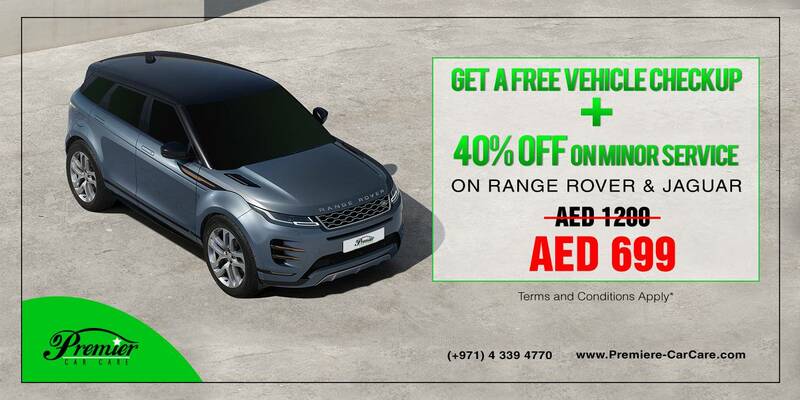 I have finally found a garage in Dubai where the priority is car and customer care. Definitely my new fave place. Premier Car Care is the aftermath for Sun City Motors. I took my new Jag there and the work is of A1 quality.Thanks Ray. I'll see you when I bring in the wife's Porsche. Hi I am taking the time to write that email to you. I am a new customer of Premier car care service, I was very impress of the guest service and car service that you give to me and on my Jaguar and specially to fix the issue with the engine. Now it is perfect 100% no issue. I want to say thanks you to the manager I don't remember his name Daniel or Richard office in the front. Wow this is customer service. I will for sure recommend your service to all my friends. Regards and see you in my next service. The service at Premier is exceptional, far superior to the main dealer service I experienced over a seven year period. Not only are jobs completed quickly, the quality of work and the prices charged are really very good indeed. I wish I'd started using you years ago! “I have used Premier Car Care now for a number of years, and have yet to find a company in Dubai (UAE) that go as far as Premier to help and care for their customers. I have bought an number of cars from their parent company (Elite Cars) all have been fantastic vehicles in superb condition. Always very well inspected and presented and all absolutely excellent, mechanically sound cars at great prices! They have also been very caring and attentive sales personnel, that truly understand the customers’ requirements and go that extra mile to look after the buyer and ensure excellent service. This great service and care is then backed up by a truly wonderful team at “Premier Car care” that have helped me with allS my vehicle service and maintenance requirements. 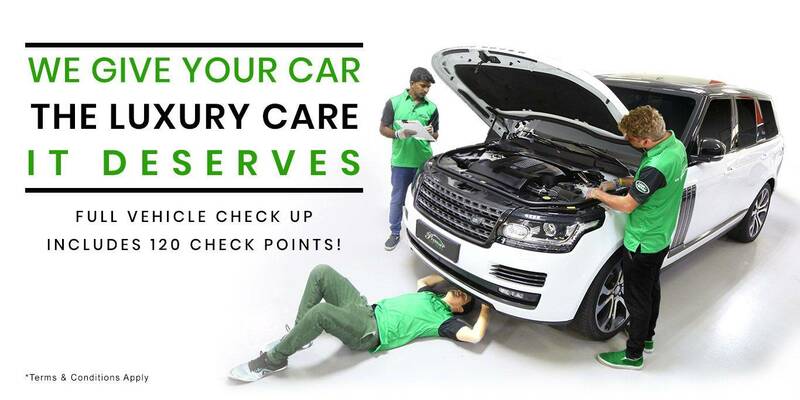 They always deal with my small emergencies in a timely manner – give me true honest estimates and advice on best practise for my car care needs, and always deliver on time and at an excellent price. A great respectful and enjoyable team to have to deal with that again make sure the customer is “always right” and dealt with in a speedy and fair manner. I will never buy a car from anyone else or get it maintained from anyone else but Premier. They have treated me superbly over the years and by reflection deserve my upmost loyalty. I recommend them implicitly and wish them every success for the future. They are a Diamond in Dubai! Hi guys! 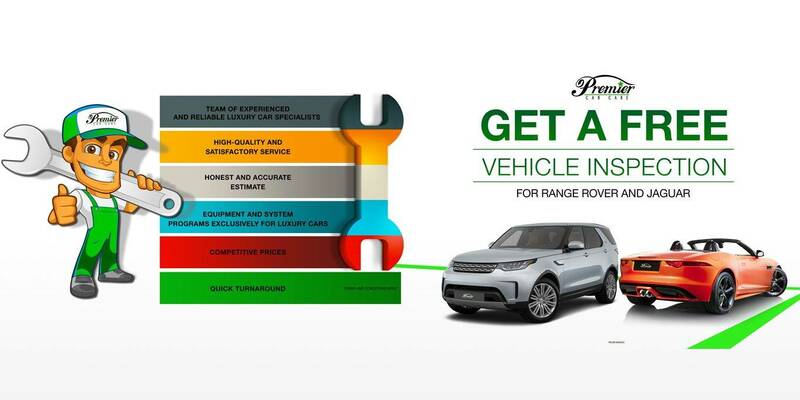 I would like to thank to Premier Car for extremely fast solution they have made for my Range Rover Sport. Very friendly and really pro- approach. I am sending regards to whole Team especially Richard! And I will be more then pleased to come back and to recommend you to my friends. Just a quick note to say thanks for the work you did recently on my BMW X5. Richard and the team were very helpful throughout the service, and the car is running much more smoothly now as a result of the service. Richard also identified the root cause of a couple of issues and has ordered the necessary parts to make the corrections required. The service from the team, from understanding my requirements, to ensuring I was able to get a taxi, to taking me through the work completed and even offering me a cup of tea while my car was valeted, was first class.I will definitely continue to use Premier for servicing on both my cars in the future. Thanks for checking. There are no issues and I am pleased with your team. Especially Richard, it's a pleasure to have him at the helm of affairs.A sensor was required to be replaced and is pending due to non-availability of the part. Once it's sourced I will get the car in for the job.Wishing you all a great year ahead! Hi, just wanted to say how pleased I am with the service from Premier. 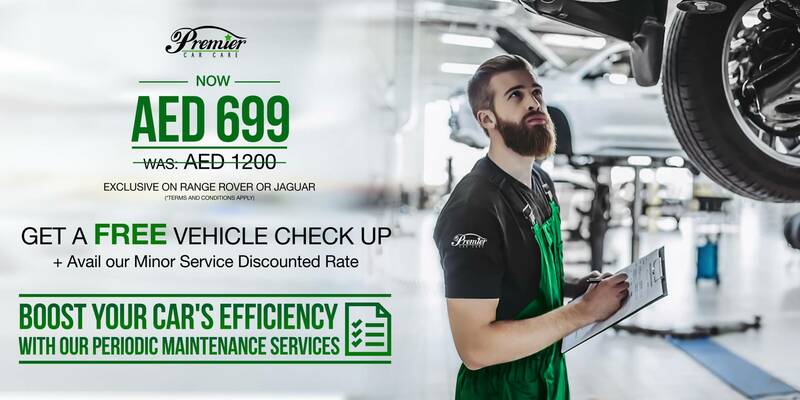 I have an old Jaguar and I know it is not the easiest car to maintain, but the service provided by Premier is first class. All the staff are a pleasure to deal with, especially Richard and the car is ready when they say it will be. I have recommended Premier to a number of friends. Dear Premier TeamThank you for your mail.I am pleased to inform you that my car is doing well post the service.I am also very happy with the professional approach of the staff led by Richard.I will have no hesitation in recommending your services to my acquaintances.